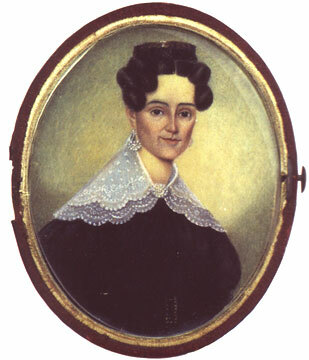 Chapman Levy’s sister Eliza married Dr. Edward H. Anderson. The couple named one of their two children Chapman Levy Anderson, after her brother. Dressed in the conservative, refined style of the antebellum period, Eliza gazes at her viewers with a quiet beauty. Her black dress may indicate mourning or it may simply be her best dress. The ornate lace collar and jeweled belt buckle suggest the latter. Mourning, however, was a drawn-out affair in the 19th century. Some women who went into mourning at the death of a child or a husband never wore colors again; others would dress in black for a year, then return to normal attire. Mourning jewelry, such as a brooch containing a lock of hair of the deceased, was commonly worn at the neck to signify bereavement and give solace to the mourner. 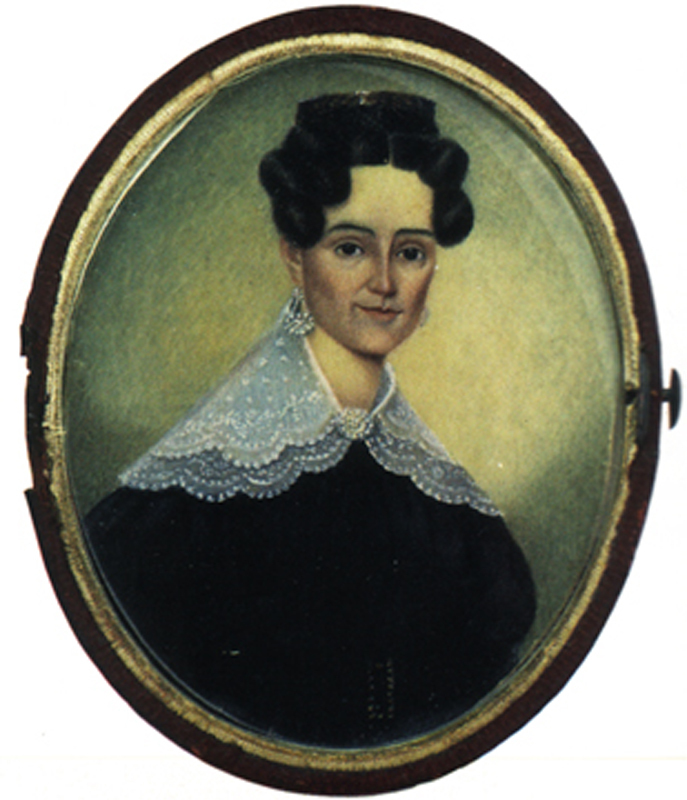 Although the artist who painted Eliza has not been determined, Camden-born Isaac B. Alexander is a possibility. Several images known to be his work resemble this portrait.